At Munay Bed &Breakfast, we have carefully selected all the details that will make you enjoy a pleasantly memorable experience! We have an excellent location a few blocks from Larcomar, Kennedy Central Park, casinos, restaurants, clubs, money exchange and main avenues, and we are 1 block away from the ocean view boulevard. Our rooms are very comfortable and clean, all furniture is new. 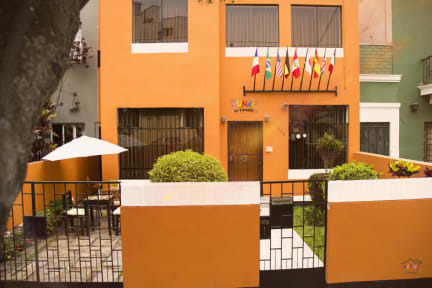 We are located 30 minutes from the Internatinal Airport Jorge Chavez, in a privileged location in the district of Miraflores, one block away the coast where you can enjoy a pleasant walk with excellent view to the sea and also very close to shopping, museums, crafts stores and entertainment areas. 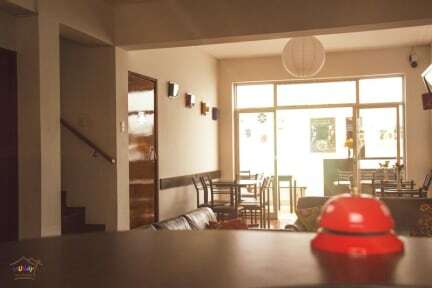 Our friendly staff will be very happy to help you in your peruvian adventure, we speak english! The reception is open 24hrs with all the information you would need for your trip. Come and discover the wonders of Peru and feel like home, at Munay Bed & Breakfast. Payment accepted on arrival : Visa or cash (USD or Peruvian Soles).